Currawong Creek is all set to be published in June. I’m now 20,000 words into my new novel, and have been dedicating a fair bit of thinking time to the deceptively simple question of what makes a good story? For me, the most important thing is that a writer needs to have something to say. Now this might appear to be self-evident, but think about it. 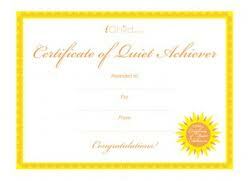 Have you ever been bailed-up by someone who can talk and talk and talk, but really, has nothing to say? You begin to look for escape routes, ways to politely excuse yourself. It’s easier than that for readers. For if a novel isn’t animated by a powerful theme, then the reader can just close the book. 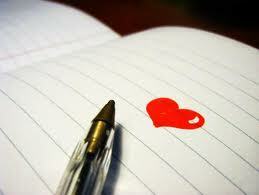 A good writer in my view, writes from the heart. And an interesting novel must in some way take a stand. It must confront its reader, by presenting conflicting values and beliefs. Think of your favourite books, and consider for yourself, whether or not this is true. For me, writing that lacks a point is lifeless, full of ornamental adjectives and decorative imagery maybe, but lifeless just the same. Readers won’t waste their time on sentence after sentence without meaning, BUT If the writer believes, that whatever he or she has to say, MUST be said, that passion will come through the pages and grip us, as readers. We’ll care about the characters, we’ll suffer with them, we’ll hate them and love them. 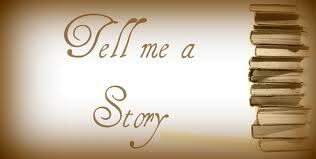 So my advice to all budding story tellers is to honour your convictions, whatever they are. Let them power your story. Let them challenge your readers, and make your story worth the telling. Care a lot about the subject of your writing and it will show. I’d like to finish with nine gems from Donald Maass, legendary New York literary agent. 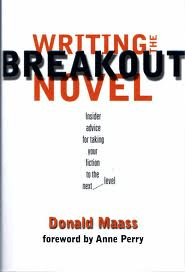 His seminal work, Writing The Breakout Novel has long been my bible. Think writing tools, not rules. Emotions are what connect us to the characters of a novel. What engages your heart will engage your reader. Create interiority. Create an emotional landscape that the characters travel through–your story’s interiority. Reveal yourself through your fiction by writing from a personal place, a place of passion, a place of experience, a place that matters. Give these emotions and motivations to your characters. Genre categories have become a palette from which writers may draw from to create unique hybrids. Great fiction will not be bound by conventions. Surprise your readers. Don’t just write about the emotions that they expect. Think about the strongest emotions that you have experienced and then think about the underlying ones, the subtle ones. Write about those emotions instead of what the reader would expect from the scene/plot. Again, surprise your readers. Write your stories like they matter, and they will matter. Powerful fiction comes from a very personal place. Readers read to make sense of the world.Your reader wants some kind of insight into the antagonist. 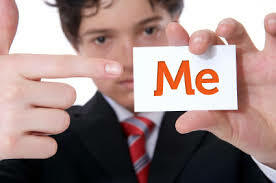 Who looks up to your antagonist? What does he have to gain? To lose? Why must he reach his goals? How much will he lose to meet his goal? What will he gain? Help your reader view life through the villain’s motivations and perspective. Make your antagonist multi-dimensional. Beautiful Writing + Commercial Writing (page turners) = High Impact Writing. 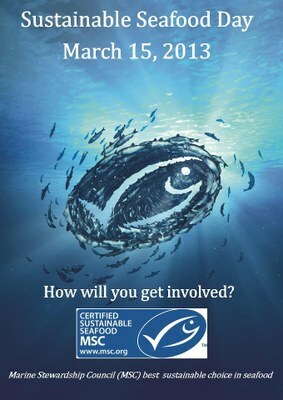 Most people know that today is St Patrick’s Day (a shout out to all my Irish friends, by the way) But many people might not know that last Friday 15th March was Sustainable Seafood Day. Started by the Marine Stewardship Council (MSC), this day is about celebrating and rewarding certified sustainable seafood fisheries, retailers and champions. It’s about empowering seafood lovers and showing them how their choices can make a positive difference in the world’s oceans. Our ocean habitats face massive and multiple threats: warming temperatures, mining, pollution and over-fishing to name a few. How can you help? The idea of Sustainable Seafood Day is simple. Only buy seafood bearing the blue MSC ecolabel. There are seven Australian MSC certified sustainable fisheries. These include; the Northern Prawn Fishery (NPF), Mackerel Icefish, HIMI Toothfish, Macquarie Island Toothfish, Spencer Gulf King prawns, Lakes and Coorong fisheries and the Western Rock Lobster; which was the first MSC certified sustainable fishery in the world and is the first to be re-certified for a third time. There are now more than 200 canned and frozen seafood products bearing the blue MSC ecolabel available at leading retailers across the country. To view the list of these products visit the MSC’s online Sustainable Seafood Product Finder. The other important thing is to check out the Sustainable Seafood Guide, print version or online, courtesy of the Australian Marine Conservation Society. You can even get an IPhone app now, featuring Greenpeace’s Canned Tuna Ranking. So much to learn. 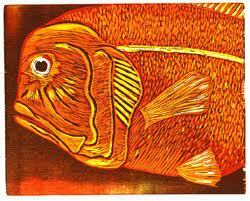 Orange Roughy for example (also known as Deep Sea Perch), live for 150 years. They are slow-growing and late to mature, resulting in a very low resilience. How can we justify trawling for fish that don’t even start breeding until they are 25-40 years old? 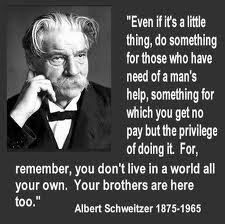 And for those who despair as to whether or not our small contribution makes a difference, let me assure you – it does. Every little bit counts. We must celebrate even small advances towards a better future for our planet. Let me share the story about the boy picking up stranded starfish and throwing them back into the sea to save them. A man says to him, “This beach goes on for miles, and there are thousands of starfish. Your efforts are futile. You can’t make a difference!” The boy looks at the starfish in his hand and throws it into the water. “To this one,” he says, “it makes all the difference.” We fix the world one day at a time, one person at a time, one action at a time. 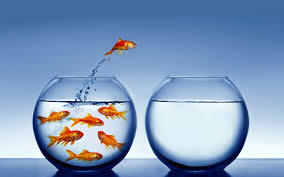 Let’s work together for a future full of fish!